Established in 1945, the Davis Silver Co is now in its 3rd generation working for, and with, New England’s best jewelry stores and antique dealers. 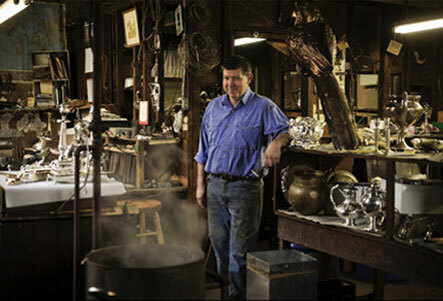 Michael Davis is the owner of the Davis Silver Co, and has been running a full time solo operation since 1996. Davis Silver Co can remove dents, repair handles and covers, fabricate missing parts and repair silverware.